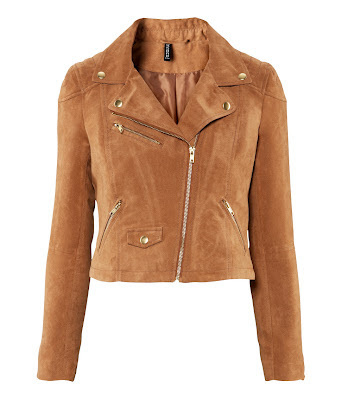 I love this mock suede biker jacket in camel. I am so fussy when it comes to bikers and have lost count of the amount of times I have purchased one I thought was perfect, only to return it the next day. Picturing this over a little dress at a festival with ankle boots. 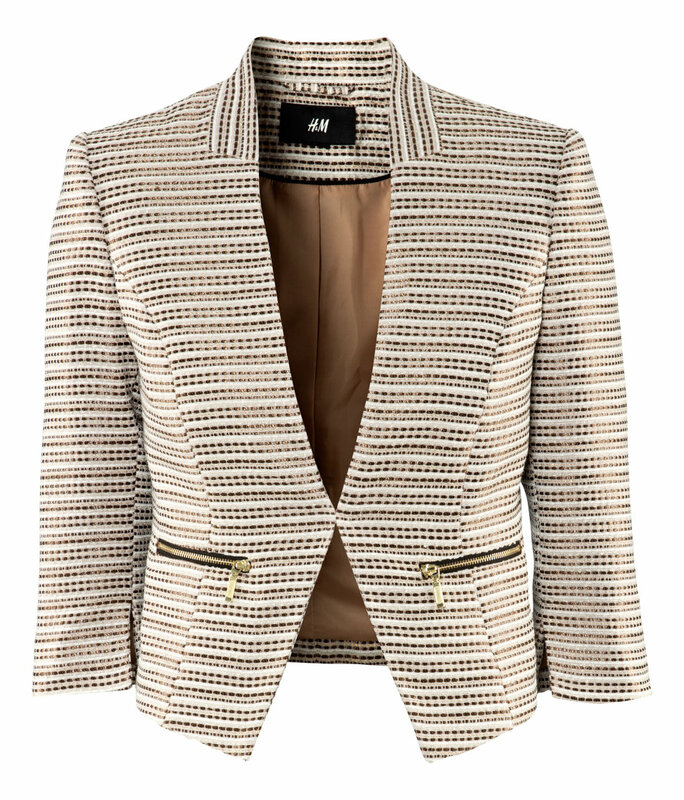 Another offering from H and M that I am slightly obsessing over. 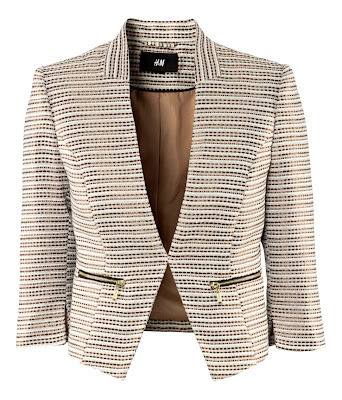 I love cropped jackets at the moment, they are very versatile in that they complete the smart/casual look perfectly with jeans and wedges or can be worn with tapered trousers for work. The army/combat look is huge at the moment. 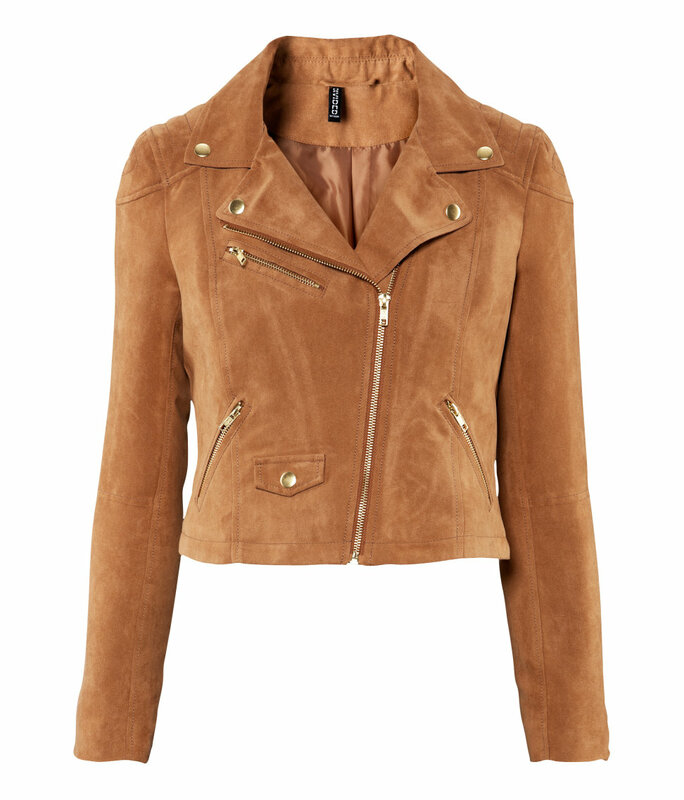 I don't think the above picture does this jacket justice but I have tried it on in store and it looks gorge. 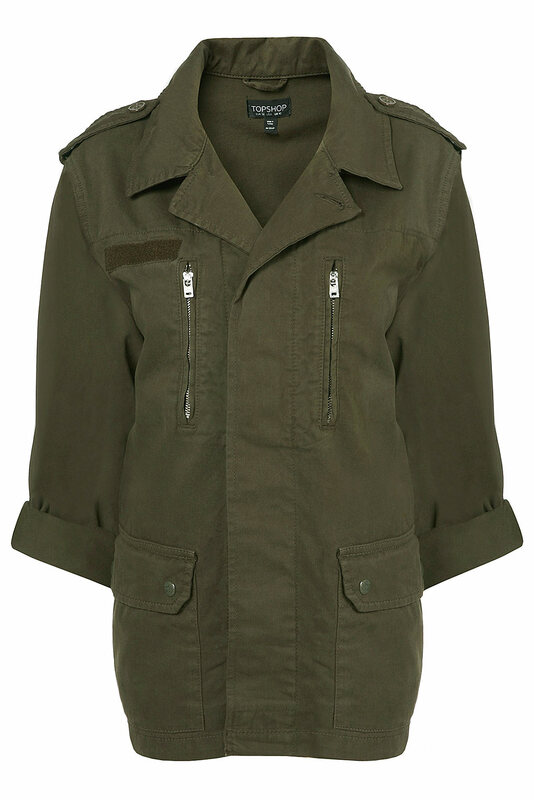 It is lightweight enough that it can be worn in summer and I love khaki at the moment. I have a fur trim parka that I purchased from a vintage shop last year so I am pleased to see some additions on the high street this year!